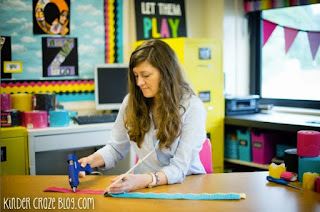 Decorating a classroom can be hard work when you are a new teacher, moving to a new classroom, or changing your classroom theme. Let me save you some headaches with a few simple tips & an awesome giveaway to get you started. 1. Pick a theme or color scheme. I had the pleasure of helping my dear friend, Linda, set up her classroom for Back to School. When she told me her theme was zoo animals/jungle/safari, I was ALL IN because who doesn't love a little cheetah & leopard print? Choosing a theme or color scheme will help make your classroom warm and inviting. You want a cohesive look without it looking like Pinterest threw up all over your classroom. Ha! 2. 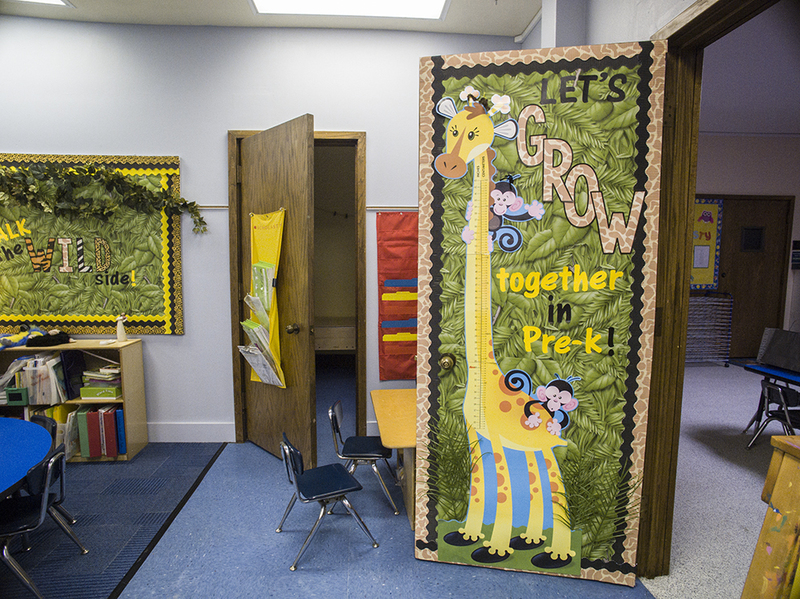 Use Fadeless® paper to cover bulletin boards and doors. Over the years, I've tried using butcher paper and fabric to cover my bulletin boards, but nothing compares to Fadeless® paper. Butcher paper wrinkles and fades. Fabric has to be ironed, and let's be honest, who has time for that? Look how gorgeous this tropical foliage print looks on the bulletin board and door! It ties the room together. 3. 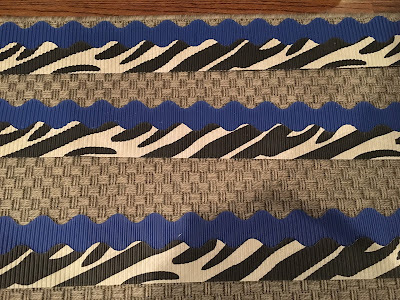 Layer your bulletin board borders. Layering your borders will make your bulletin board POP! 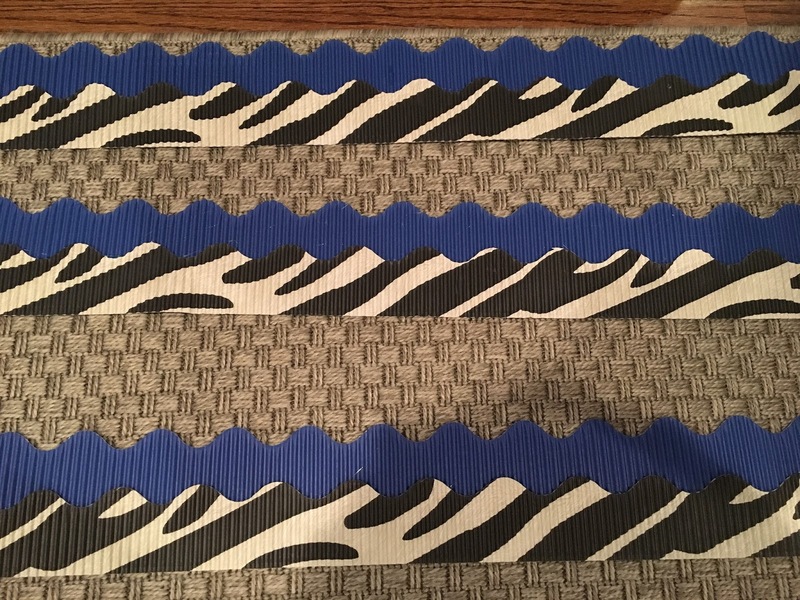 It adds color and contrast, and it is so easy to do. Thank you, hot glue! How gorgeous is this layered border on the tropical foliage Fadeless® paper? 4. Make your own bulletin board letters. When you figure out what you want your bulletin board to say, pick one main word and make your own letters. Pick a big, chunky font, and type one letter on each page. Increase the font so it fills the entire page. Now it's time to format your text. You don't want to waste ink by printing a giant black letter. Instead, change the letter fill to "no fill." Print each letter on fun paper. I used Pacon's super fun safari print paper. I would also suggest changing the Text Line. To do this, choose Format Text. Click on Text Line on the lefthand side. Choose Weights & Arrows from the top. Increase the weight to 15 pt or so. 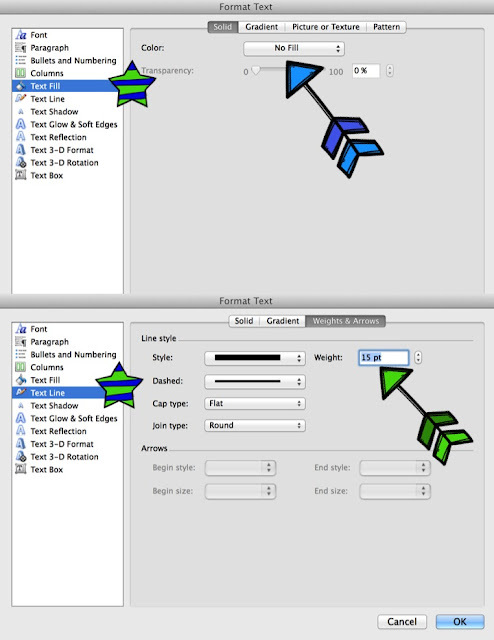 When I first made the "WILD" letters, I forgot to change the Text Line, so I reprinted the letters with a thick line. See the difference... The "W" and "I" have the thick 15 pt. line and the "L" and "D" have no line. The thick black line makes the letters stand out against the patterned paper. For the rest of the letters & words, I used Pacon's self-adhesive letters. These letters are the bomb because they are removable and repositionable. I can never get my letters lined up and centered the first time, so I love that you can peel them off and move them around. 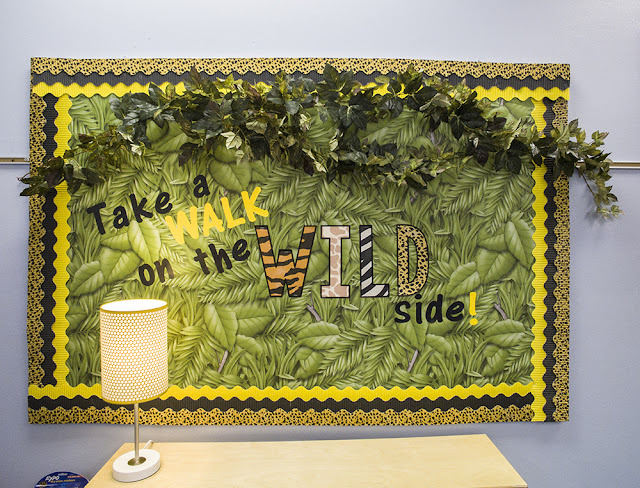 Make your classroom a warm and inviting environment by painting your walls, adding lamps, creating cozy spots, and incorporating plants & greenery. If your principal allows you to paint, invest the time & money and paint your walls a soft color. It will make a huge difference, I promise! If you can't paint, don't fret. 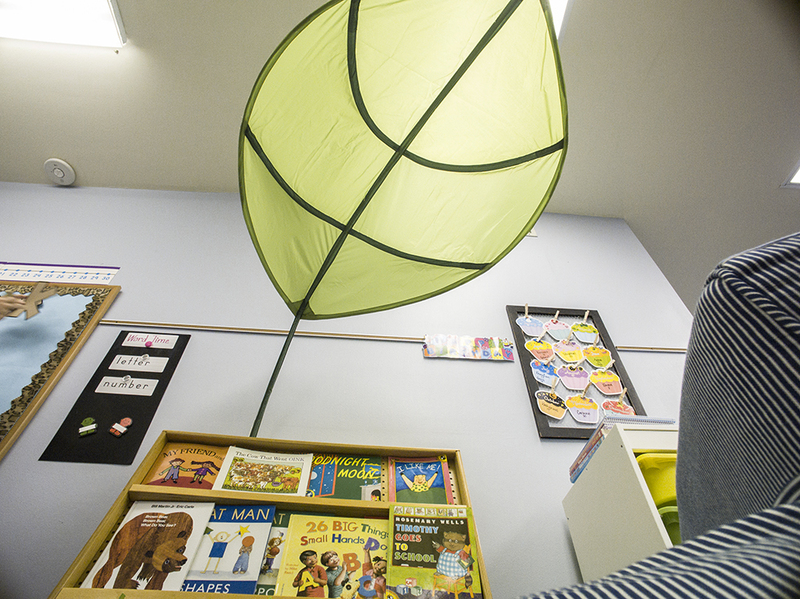 Find curtains, lamps, rugs, & pillows that will make your classroom as cozy as your living room. I love how my friend Linda used this IKEA leaf to create a cozy space. Lately, I've been reading articles that say teachers should have bare walls and little to no decor in their classrooms. I wholeheartedly disagree. Think about it... You and your students spend 8+ hours a day in the classroom. You want it to feel like home. Don't overdo it, but adding a little ambience & decor goes a long way. 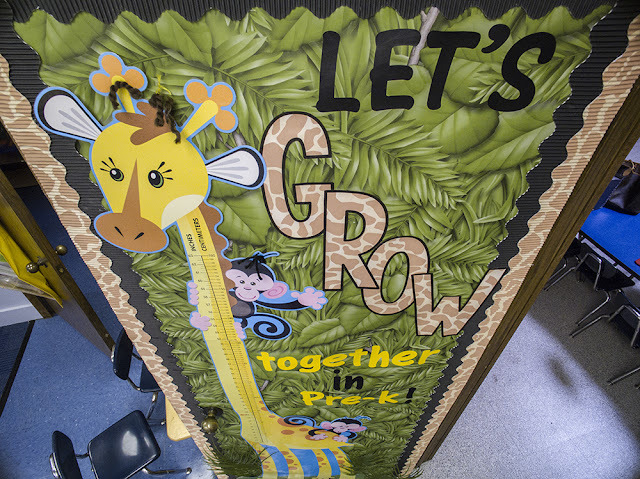 You don't need to fill every wall and bulletin board with "stuff." 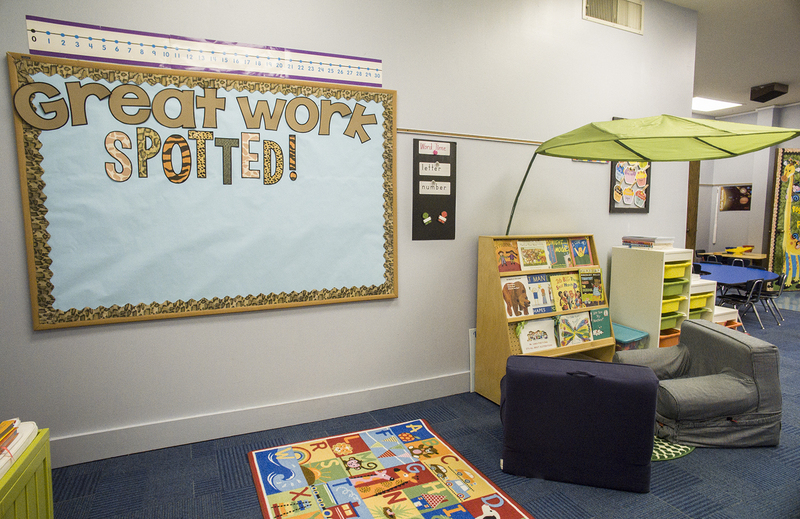 Keep areas blank at the beginning of the year so you have space to display student work, anchor charts, and pictures of your kiddos. Take a step back and ask yourself, "Is there too much clutter?" If so, take a few things down and simplify. 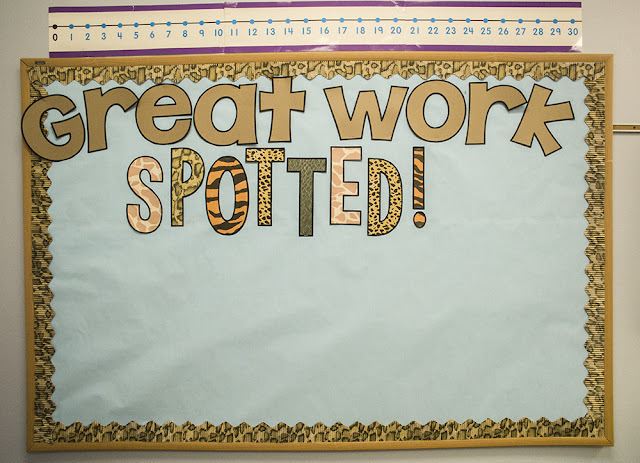 Instead of decorating this entire bulletin board, I put up some light blue Fadeless® paper, some animal print Bordette® and "Great Work SPOTTED." 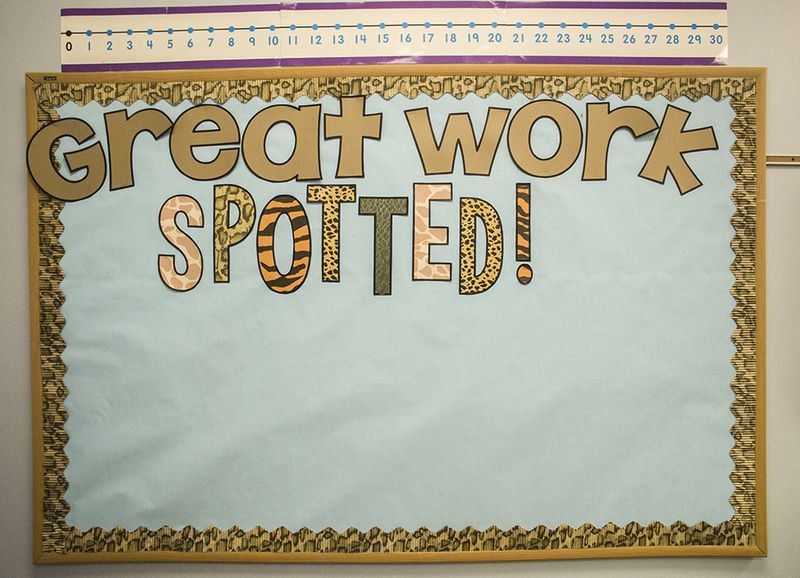 After the craziness of Back to School wears off, it will be easy to add student work to complete this board. 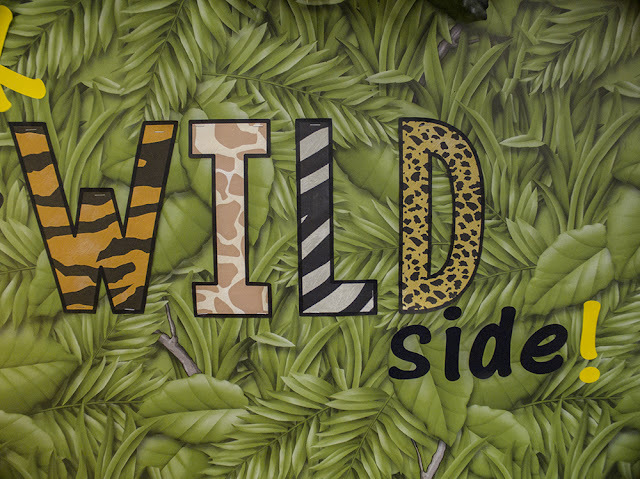 Are you ready to take a walk on the wild side? If so, enter the Rafflecopter below to win this amazing prize pack from Pacon! Disclosure: TheHappyTeacher & Pacon partnered for the purpose of this post. I received free samples of Pacon products, but all opinions are my own.